When I got the news this summer that Bill Coday had died, I was involved with the whole Lattimore adventure, and so never got a chance to say goodbye. He had come up singing the blues in juke joints in rural Arkansas, before heading to Chicago in the early sixties. When Denise LaSalle first heard Bill sing at the Black Orchid, she knew he was the real deal, and signed him up to the label she had started with her husband, Crajon. Her own initial release on Crajon had been picked up by the Detroit based Westbound label after it made some local noise, and she had stayed on with them. 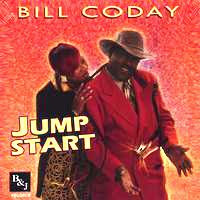 I'm not sure who got there first, but both Westbound and Crajon soon began recording with Willie Mitchell at Royal Studio in Memphis, an arrangement that helped propel both labels into the R&B top fifteen within two weeks of each other in early 1971 - The Detroit Emeralds' with Do Me Right, and Bill Coday's monster Get Your Lie Straight (Denise herself would follow, of course, with her own Willie Mitchell produced #1 smash Trapped By A Thing Called Love later that summer). This wonderful selection we have here today was the B side of Bill's breakthrough record, and demonstrates his talent not only as a singer, but as a songwriter as well... move over, Johnnie Taylor! I'm loving Hi Rhythm's bluesy side here, man. 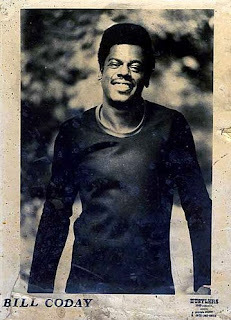 His Crajon singles would be leased for national distribution by Galaxy, and he would chart one more time for them (with When You Find A Fool Bump His Head) before signing with Epic in the mid seventies. 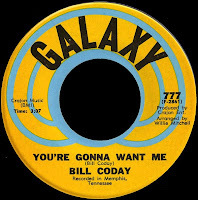 Coday's career was still going strong, and he was a regular visitor to the Southern Soul Blues charts for Memphis based Ecko Records into the new millennium. In 2005, he formed his own company, B&J Records, releasing Jump Start to critical acclaim, as well as a 2006 Christmas Collaboration with Karen Wolfe. Bill was due back in the studio this summer, but he never made it. He was felled by a massive stroke on June 7th. 2008 has certainly been an interesting year here at the the ol' B Side... a year which saw yours truly stepping off the curb just a little bit further, and working with some incredible people along the way. I consider myself truly blessed to have lived both the Lattimore Brown and O.V. Wright sagas, with all of their ups and downs. Following the road that took me from Mississippi to Memphis and back again (twice), has left a profound imprint on who I am, and what it is I do. It was also a year which saw the site featured in such places as The Wall Street Journal, The Guardian and The Commercial Appeal which, while bringing in more visitors, also brought with it a certain amount of notoriety... notoriety which may have resulted in the recent cage-rattling by the 'International Federation of the Phonographic Industry (IFPI) and the record companies it represents', and the deletion of some of my material. A situation which I find truly ironic, as I was recently contacted by one of those very same 'record companies it represents' asking for help in promoting one of their re-issue products... go figure. Another noted musical death during the year, though outside your blog's field, was that of Davy Graham, the guitarist who influenced many others as diverse as Bert Jansch, Paul Simon and Jimmy Page. Thanks for bringing us so much good music in 2008 - and best wishes for 2009. Thank you Red for bring us the stories that don't get heard. I look forward to your insightful tales about these classic forgotten songs. I hadn't heard about his passing... I've added him to the list... Thanks. I'm glad to help one of my favorites blogs (even if I don't always understand every sentence, I still need to improve my english).